The success of a start up business is far more likely if you have a strong team around you – people you can trust and that have skills than compliment your own. Finding a good bank manager that you can bounce ideas off and that can give you excellent financial advice is an important member of your team. You do not have to have these people on your payroll to be able to utilise their skills, business bank managers are available at most high street banks and are a great source of information. Which Business Bank Manager to Use? You do not have to use your exciting bank manager for your business banking, indeed many people starting a small business find that it is helpful to keep their personal and business affairs totally separate. Gone are the days where having your bank account at the same branch for thirty years meant something – now you need to go wherever suits your requirements the best. Start by setting aside a day, or at least a morning, to visit all the local bank branches to see what they offer small businesses. 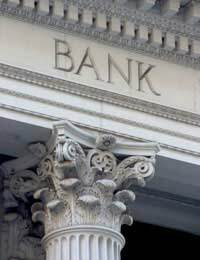 Most banks are keen to gain new small business customers and offer a range of services that may be of use. They may also offer a range of services that are of no benefit to you whatsoever, so read the small print and go on to the next one. Helpful perks for a new start up include a period of free business banking and one to one advice. A restaurant often takes quite a lot of cash so you do not want to have to pay a charge every time you pay into your account. When you find a bank that seems to offer something that is of interest to you, ask to speak to the business bank manager. You may be able to see them straightaway, or you may have to make an appointment. When you meet them, see if they are on your wave length – this can make a huge difference to the success of your professional relationship. When you meet with your potential business bank manager, take along a copy of your business plan. They can then see how serious you are and the type of funding and turnover you are dealing with. If you need to gain funding from the bank, by talking through your business plan they may be able to advice you on where they can help and what options you have available to you. One of the biggest mistakes new businesses make in terms of finance is to bury there heads in the sand when something goes wrong and just let things crumble around them. If you have a supplier let you down or are waiting for a payment when your lease is due to be paid, if you keep in regular contact with your bank manager they are far more likely to be able to help you in the short term. Build a rapport with your bank manager, share your business idea and gain their interest in your business, that way they will understand what you are doing and be on your side wherever possible. Is it Worth Hiring a PR Firm? Start Up on Your Own or With a Partner? The simple fact is that most restaurants will not make money in the first year. In fact, in the time many will fail. Don’t be surprised if your bank manager is somewhat wary, no matter how good your business plan, unless you have enough capital to safely ride out that initial with a safe margin.